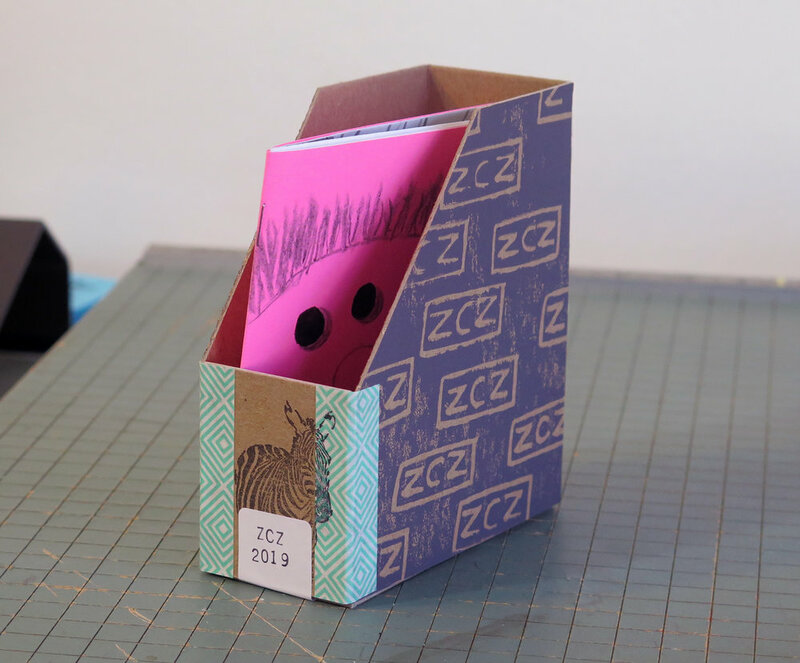 You can make this little zine slipcover from recycled materials. Click here to download a PDF with template and easy instructions. Q. What is Zebra Cat Zebra? A. Zebra Cat Zebra is a mail subscription service for my little books. I write and illustrate zines and send them directly to you. Starting in 2019 zines will be a little larger (5 X 4.25 inches) and will be mailed bi-monthly. Q. What else will I get with my subscription? A. You’ll get a slipcover for zine storage along with occasional surprises: a postcard, sticker, bonus zine by a guest artist, or extra art on the envelope. Q. How much is it, and how can I pay? A. A subscription (6 issues) is $24 (+ $1.68 sales tax for MN residents) for US addresses. Use PayPal, Venmo, or simply send me funds in the mail. I'll send you instructions via email after you fill out the form below. Q. Can I sign up anytime? A. Yes. At this time subscriptions begin in 2019 with a February issue. I'll send any zines you've missed in one shipment along with the little storage box. After that you'll be added to the list for monthly mailings. A. Yes. Email me for availability in the form below. Q. Does this make a great gift? A. Yes! If you buy a gift subscription I'll enclose a card that explains the project and lets your recipient know it's from you. Q. Why the name "Zebra Cat Zebra?" Payment Detail * Check in the Mail (preferred) PayPal or Venmo I just have a question! Thank you! I’ll send you payment info soon.